Our customizable ceramic shot glasses make a fun addition to any party and make a cool gift! Perfect for Birthdays, Father's Day or Groomsmen gifts. Makes a unique keepsake! Did someone say stripper pole? Fellas and ladies a like, if you have a bachelor or bachelorette party coming up, then this could be an awesome shot glass for that occasion! 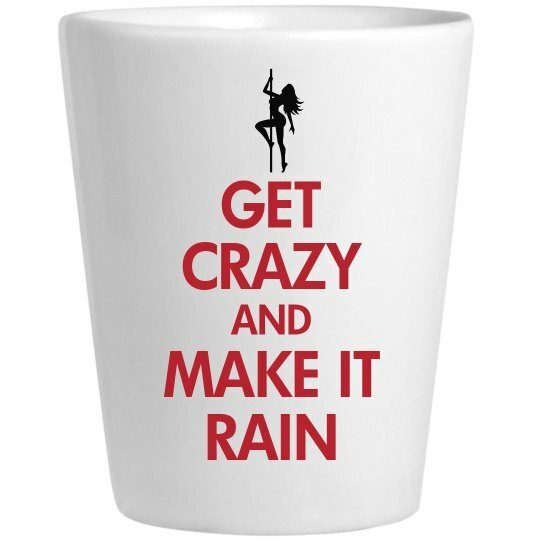 Get crazy and make it rain!